OpenAndroMaps offers downloadable vector maps for smartphones for free. These maps don’t need any internet access for operation and can be changed in style by downloadable map styles. This project is financed by donations only. This is an information for Theme-Composers. 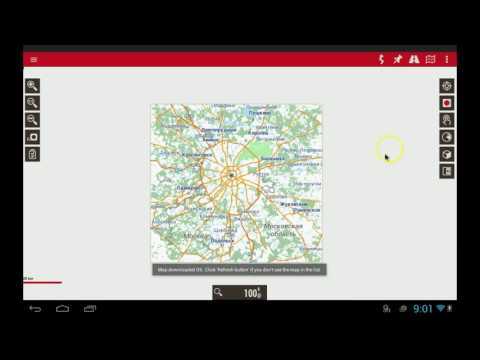 There will be an important change in tag-mapping for the OpenAndroMaps. T1,T2,T3 and T4, while T4 included T5+T6 too. in a second step (October) raw_sac_scale will be no longer supported = removed from Tag-Mapping! SO: sac_scale T4 will NO LONGER INCLUDE T5+T6 > T5 AND T6 are seperate values from August update on. Extend your rules so that sac_scale prozesses T5 and T6 too. So everyone making themes for OpenAndroMaps have to ensure that everything renders fine when expanding the sac_scale and finally deleting raw_sac_scale. I know its annoying – however there is no other way to ensure that the maps render fine in future. I’m terribly sorry about this, however recently I discovered that there is a limit of max. 15 Tags in the MapsforgeWriter per OSM_Object so I have to reduce the amount of tags – otherwise we end up in white tiles rendering the maps at is was the case with parts of upper Austria last weeks. Multilingual maps- what does this mean? As an example: The OpenStreetMap database provides NAMES for most objects like Citys, Roads, Churches, Rivers, aso.. in different languages. So for the map of Israel usually in hebrew, arabian, english, maybe in german. For maps of Russia usually in russian and english. Up to now only one language per maps was possible to include and display on our smartphones. So providing two languages for one maps for OAM meant making – and for you, downloading two different maps. With the new, multilingual maps it is possible to include different languages while making the map and switching map-language in an APP – if an APP is compatible with these maps AND provides a language switcher. This is the case for ORUXMAPS and LOCUS for Android and Cruiser for Android + PC. So we decided to provide the multilingual maps on OpenAndroMaps. The effort for providing two different versions of the maps (old single and new multilingual = 250 each) is crazy. However, we are aware that a lot of APPs still only support the old “V3” single-language maps – and keeping our users in mind we will support both versions for while, as far and long as our resources will allow this. For now we provide the new multilingual “V4” maps for download to PC AND for direct install to ORUXMAPS. The download/install buttons for these maps are RED, the included languages are shown for each map as abbreviations in square brackets. The new map files itself are identified by a “_ML” suffix. The old maps that we provided in different languages will be available in future only in one language (usually native lang. or english) – this is the case for all russian mapps, several maps for Asia aso. PLUS the multilingual version. The POI files for the multilingual maps are included in the zip-files of the maps. With the next update of ORUXMAPS these POI-files will be installed in the right place on your Smartphone if chose direct install. Next posting will deal with the complete redesign of the categorie-structure of the OpenAndroMaps POI-files. The planed “maintenance” of the OpenAndroMaps website ended up in renting a new, performant server with the latest operating system in a fast network ….. Furthermore, several overweight plugins were exchanged against lightweight ones from GitHub and everything was adapted to run under PHP7 – this should be fine for the next months. The advantage for you: fast response times (around the 400ms load time) after I have spent a full weekend with the memcached server :-). The page rendering times on Android is not so nice, unfortunately this is a common problem on these devices. SPAM: I’v installed a new Spam-Protection. Please dont use disposal EMail addresses, this will not work. Now we can concentrate on the real thing: Making maps, pois, themes, docs. Maybe some of you have already seen that multilingual maps now available for download – we will present these maps in brief later on. Unitl now the map starting position after loading a new map was set to the arithmetical center of the area the map covered. Unfortunatelly sometimes, at high zoom levels and with GPs device disabled, you ended up in the blue sea or in the middle of nowhere after loading a map. From now on every map has its own starting position set by hand – usually the capital of the country/region or a well known natural preserve or something like this. As an example: Loading a fresh map of Cannary Islands – until know you ended up in the blue sea, from now on the map starting point will be N28,46560° W16,25398° = Santa Cruz de Tenerife. This improvement is the reason why the update for March is delayed for a few days – the map starting points for ~270 maps have to be defined. The updated maps should be available from 7th of March on starting with Europe/Germany.